Wherever we walk, whether it’s the railway station or the supermarket, we are walking on the earth and so we are in a holy sanctuary. If we remember to walk like that, we can be nourished and find solidity with each step. Since our fundamental problem is distraction, its fundamental solution is to be mindful. There are an infinite number of methods for developing mindfulness that all fall into one of two categories: shamatha or vipashyana. The point of shamatha practice is to make mind malleable. But a pliant mind alone will not uproot samsara completely, we also need to see the truth, which is why vipashyana practice is so crucial. Unfortunately, though, mindfulness is difficult, mostly because we lack the enthusiasm to develop it, but also because our habit of longing for distraction is both deeply ingrained and extremely tenacious. It is therefore vital for a dharma practitioner to develop renunciation mind and to recognise the defects of samsara, both of which lie at the core of the Buddhist approach to training the mind. Each bowl I wash, each poem I compose, each time I invite a bell to sound is a miracle, and each has exactly the same value. One day, while washing a bowl, I felt that my movements were as sacred and respectful as bathing a newborn Buddha. If he were to read this, that newborn Buddha would certainly be happy for me, and not at all insulted at being compared with a bowl. Each thought, each action in the sunlight of awareness becomes sacred. In this light, no boundary exists between the sacred and the profane. “Mindfulness is the quality and power of mind that is aware of what’s happening — without judgment and without interference. It is like a mirror that simply reflects whatever comes before it. It serves us in the humblest ways, keeping us connected to brushing our teeth or having a cup of tea. It keeps us connected to the people around us, so that we’re not simply rushing by them in the busyness of our lives. We can start the practice of mindfulness meditation with the simple observation and feeling of each breath. Breathing in, we know we’re breathing in; breathing out, we know we’re breathing out. It’s very simple, although not easy. After just a few breaths, we hop on trains of association, getting lost in plans, memories, judgments and fantasies. This habit of wandering mind is very strong, even though our reveries are often not pleasant and sometimes not even true. As Mark Twain so aptly put it, “Some of the worst things in my life never happened.” So we need to train our minds, coming back again and again to the breath, simply beginning again. Slowly, though, our minds steady and we begin to experience some space of inner calm and peace. This environment of inner stillness makes possible a deeper investigation of our thoughts and emotions. What is a thought— that strange, ephemeral phenomenon that can so dominate our lives? When we look directly at a thought, we see that it is little more than nothing. Yet when it is unnoticed, it wields tremendous power. Create positive changes in your life by reprogramming your unconscious mind. 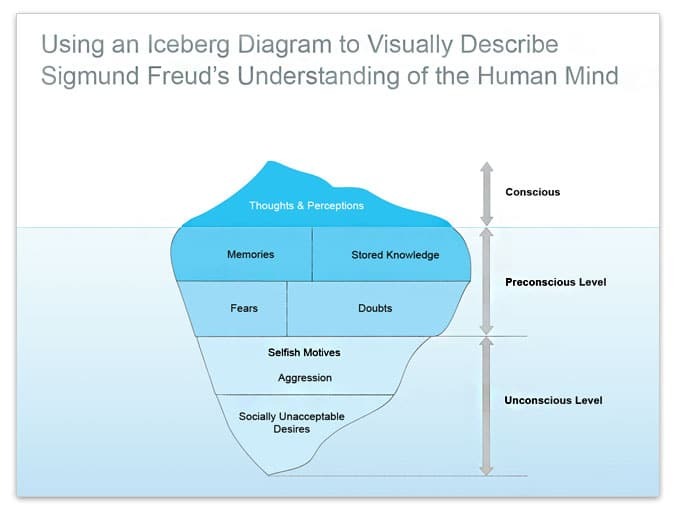 The subconscious mind is akin to that unseen portion of an iceberg which remains underwater. Some believe that up to 95% of our mental activity takes place in the subconscious, just below our conscious awareness. This ‘underwater’ portion of the mind is never inactive, though, as it continues to collect and process information even when we are asleep. While this model may be debatable to some scientists, sages and those devoted to personal development have long known that these regions of the mind are programmable with conscious intention, a process which can be achieved with affirmation and mantra. As a spiritual tool, monks of the eastern traditions have been using mantras since time immemorial, most recognizably along with prayer beads. The value of this type of meditation is well-understood by practitioners, although, difficult to quantify. It offers a simple but powerful means of creating the emergence of desired positive outcomes in personality, habits, beliefs and emotions. 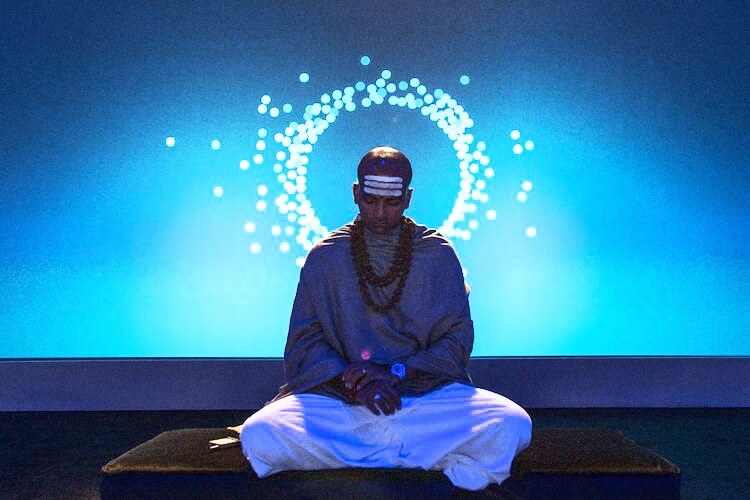 Speaking on how this process works, Hindu priest and international speaker Dandapāni explains how mantras are similar to affirmations in how they work to reprogram the subconscious mind. In an interview with Brian Rose of London Real, Dandapāni answers the question of why the simple concentrated repetition of sound can so powerfully brings about positive changes in personal behavior. The process of visualization is extremely important in clarifying for the mind the precise object in focus. If you were to chant, ‘I love apples,’ the brain would become confused by the word apple, however, unless a very clear picture of the apple is presented along with the mantra. Regarding a corresponding feeling, he explains how feeling is emotion and emotion is energy, quoting the late Nikola Tesla.